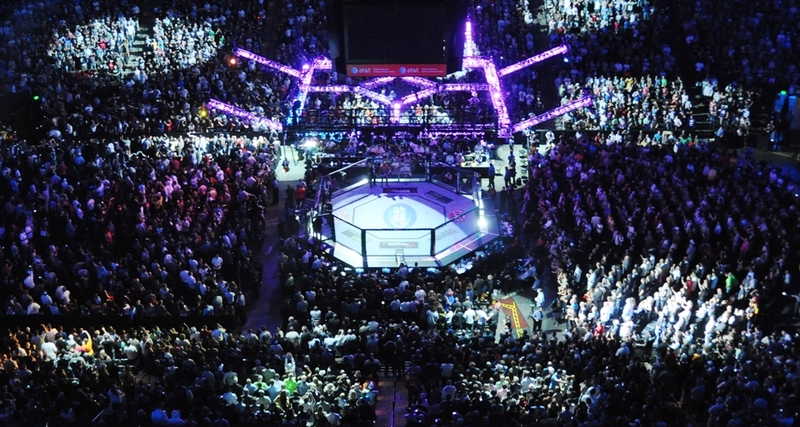 They say everything’s bigger in Texas, so the UFC made sure it wouldn’t be an exception. The promotion will deliver a stacked night of fights to Dallas this weekend. In the main event, Anthony “Showtime” Pettis returns to the Octagon fresh off a December win over rival Gilbert Melendez. 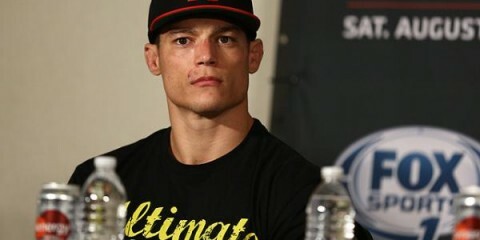 He’ll look to defend his lightweight title for a second time when he takes on Rafael dos Anjos. Pettis will try to stop the Brazilian, who has gone 8-1 since 2011. Pettis and dos Anjos will not be the only ones competing for gold, however. Newly crowned UFC strawweight champion Carla Esparza will take on undefeated striker Joanna Jedrzejczyk in the first of two title fights for the night’s co-headliner. The rest of the main card fills out nicely, featuring a welterweight scrap with major title implications between former champion Johny Hendricks and veteran Matt Brown, a heavyweight slugfest between Roy Nelson and Alistair Overeem, and a fun flyweight match-up between Olympic wrestling champion Henry Cejudo and recent title challenger Chris Cariaso. UFC 185 takes place on March 14 at the American Airlines Center in Dallas with three preliminary fights starting on UFC Fight Pass at 6:30 p.m. ET. From there, the card will move to FX — not the usual Fox Sports 1 — for four more prelims at 8 p.m. ET before moving on to pay-per-view at 10 p.m. ET for the main card. Combat Press writers Sal DeRose and Vince Carey break down the card in this edition of Toe-to-Toe. Anthony Pettis ran through Gilbert Melendez in December. Now, the lightweight champion returns for another title defense. 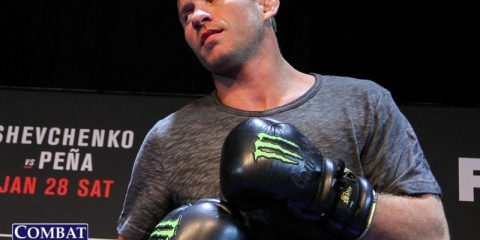 The challenger is Rafael dos Anjos, a fighter who went 4-4 through his first eight UFC fights before catching fire and going 8-1 over his last nine outings. Can dos Anjos continue his amazing turnaround and capture gold, or will Pettis maintain his dominance over the lightweight division? DeRose: No, dos Anjos won’t capture the belt. 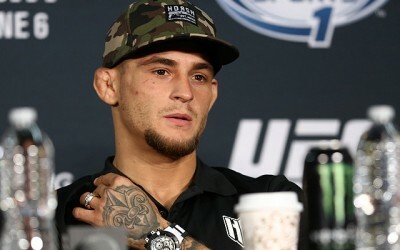 Barring some injury to Pettis, dos Anjos won’t take the fight. Pettis is on another level. He is the champion for a reason. There are only a couple of guys who can beat Pettis in the UFC. One of those guys is UFC featherweight champion Jose Aldo, and the other is the possible next contender, Khabib Nurmagomedov. Dos Anjos has been a great story over the past couple of years. The Brazilian went from near the chopping block to No. 1 contender status in arguably the UFC’s deepest division. You can’t take anything away from dos Anjos. He has been really good in that span. However, this is Pettis we’re talking about, and his game is well known. Dos Anjos is very aggressive in his style, but that only plays into Pettis’s hands. Pettis has excellent striking and seemed calm under pressure against the aforementioned Melendez. If dos Anjos is to win this fight, it has to come from his wrestling. He needs to take the striking game away from Pettis almost immediately. The less time spent on the feet, the better the chance for dos Anjos to walk away as the new champion. That is way easier said than done, though. Pettis has a great offensive guard, perhaps the best in the UFC. Pettis submitted a previously unsubmittable Benson Henderson from his guard with an armbar to win the title. There has only been one fight where Pettis was completely neutralized, and it was his first UFC fight against Clay Guida. There will be no Octagon jitters here like Pettis experienced with Guida. 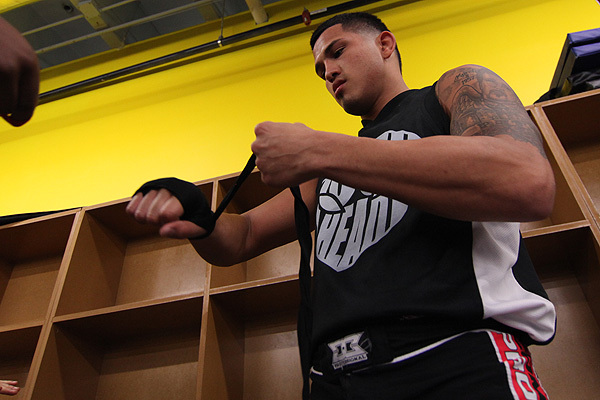 Pettis has learned a tremendous amount and has been completely relaxed in the cage since then. The champ will get his sixth consecutive win here. Carey: Sal broke things down pretty well, and I have to agree that dos Anjos isn’t going to be the guy to dethrone Pettis. Like my colleague, I’ve been surprised and impressed by what the Brazilian has done recently. From his dominant win over Donald Cerrone to his quick finish of Benson Henderson, dos Anjos has been a beast against almost everyone he’s fought over the past few years and he’s a legit title contender at this point. Still, I can’t fully get behind dos Anjos as a title challenger in this fight, partially because he probably shouldn’t be getting this fight. Sal mentioned Nurmagomedov as a potential foil for Pettis down the road, and even though injuries have kept the Dagestani fighter away from the belt thus far, a dominant win over dos Anjos a little under a year ago proved that “The Eagle” is the one true threat left for Pettis at 155 pounds. Regardless of whether or not he’s the guy that should be in this spot, dos Anjos will be fighting for a UFC title on Saturday and he has the toughest test of his career in front of him. As Sal suggested, the Brazilian’s main priority is going to have to be to get the fight to the mat. The problem is, after watching two extremely talent grapplers in Henderson and Melendez struggle not only to get Pettis to the ground, but to control him once they’ve gotten him there, I have serious doubts about dos Anjos’s ability to get some offense going. Trying to remain on the feet against Pettis is basically signing your own death warrant if you’re not an elite striker, and while dos Anjos has gotten better on the feet, he isn’t ready for what Pettis can throw at him. I see Pettis being able to dominate this fight in all areas. Unless dos Anjos can grab some limbs for 25 minutes and hold on for dear life, I don’t see him pulling this one off. I was skeptical of “Showtime” as a UFC champion heading into his UFC career, but his dominant wins over Cerrone, Henderson and Melendez have convinced me that he’s on a different level than 95 percent of the UFC roster. Carla Esparza became the first UFC women’s strawweight champion after battling her way through a gauntlet of elite talent on The Ultimate Fighter. Now, she’s set for her first defense of the belt. Her opponent, Joanna Jedrzejczyk, is an undefeated fighter who didn’t face the TUF challenge but did post decision wins over Juliana Lima and Claudia Gadelha. Is Esparza looking at an easy first defense, or does Jedrzejczyk possess the necessary skills to defeat the champ? Carey: I don’t know about my colleague, but there’s no way I’m counting out Jedrzejczyk after her war with Gadelha in December. Gadelha was considered a slight favorite over Esparza heading into a planned Invicta title bout in late 2013 before an illness forced her off the card, and she was considered the clear favorite to get the first shot at Esparza after Esparza won TUF 20 and the strawweight title. Jedrzejczyk came from out of nowhere to steal Gadelha’s title shot when she won a close decision over the Brazilian, and regardless of how close the fight was, she beat the clear cut No. 1 contender and put her in some tough spots in the process. Jedrzejczyk is interesting, because we really haven’t seen enough of her to know exactly what we’re getting out of the challenger here. 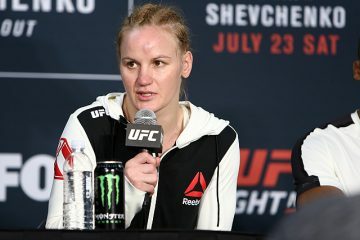 Outside of her two UFC fights, her only other notable opponent came in an early 2014 win over UFC vet Rosi Sexton at a Cage Warriors event. 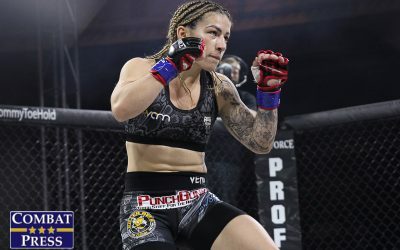 We know she’s an extremely good striker and that she did enough to hold her own against a solid grappler in Gadelha on the mat, but there are still a lot of questions surrounding the rising strawweight, including whether she’s ready for a five-round fight. It’s clear that Jedrzejczyk has a lot of talent and she could be a player in the 115-pound division, but it’s tough to gauge if she’s as good as she’s looked through her two UFC bouts. While Jedrzejczyk is still a bit of a mystery, we pretty much know what we’re getting from Esparza. From her runs in Bellator and Invicta to her championship-winning performance on TUF, Esparza has beaten a lot of the top strawweights in the sport over the years. This title run on a big stage feels deserved. She’s the favorite in this one, and she’s earned it by beating the majority of the best women in her division. She’ll have to get past one more in order to defend her belt, and it’s going to be far from easy. My colleague is going to destroy me for making this pick, but I’m going to do it anyway. My gut is telling me not to sleep on Jedrzejczyk, and even though her suspect ground game scares the hell out of me, she does enough damage on the feet to convince me to pull the trigger on the upset pick. It’s likely going to take a fast start from the challenger to get out ahead and try to preserve a lead, but I see a title change taking place this weekend. Go ahead Mr. DeRose, do your worst. DeRose: I’m not counting out Jedrzejczyk in this fight either. She is only a very small underdog as I write this. Honestly, I thought for sure going into this I would have the most trouble consistently spelling Jedrzejczyk correctly, but I’m having even more trouble picking the winner of this fight. Vince looks to make the same mistake twice. We already had our previous schism on the last Esparza fight when he took Rose Namajunas to beat Esparza. Now, my colleague is falling into the same trap here by giving too much weight to an impressive last fight from Jedrzejczyk. Yes, I’m really throwing Vince under the bus. Go ahead, punk, make my day. People forget that Esparza is a really good fighter. It’s already been mentioned, but I’ll echo my colleague by pointing to Esparza’s ground game. She is almost definitely taking this fight to the ground, where she typically wins and loses her fights. Jedrzejczyk is a crazy fighter and likes a fast start and an aggressive style, but Esparza will have none of it. Esparza’s fight with Namajunas should be an eye opener just by itself. 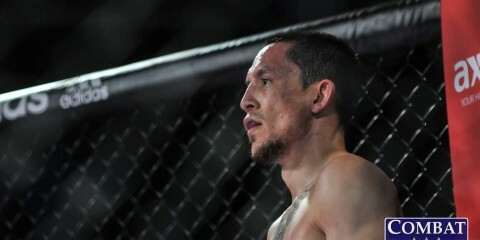 Esparza dominated the fight from start to finish. There was nothing Namajunas could do to stop the fight from heading to the ground. Once there, it was like a snake completely engulfing its prey. Esparza is that good. I’m not a big fan of Esparza’s striking, and Jedrzejczyk has the advantage there by a country mile. Jedrzejczyk was able to get right back up when Gadelha took her down, but Gadelha isn’t nearly as controlling on the ground as Esparza. Namajunas was expected to be able to “keep it on the feet and stop the takedown” against Esparza, but that didn’t turn out too well. I’m not falling into the same trap by thinking Jedrzejczyk can succeed where Namajunas failed. Esparza defends her title. Johny Hendricks and Matt Brown are coming off losses to current champ Robbie Lawler, but due to their already impressive resumes, the winner of this bout will likely earn a shot at the title later this year. With the winner of Lawler and Rory MacDonald up next for the victor, who has a better shot to wrap gold around their waist this year, Hendricks or Brown? DeRose:Both guys possess a chance to wrap that sweet championship belt around their waist this year. If either guy didn’t have a chance to win, he wouldn’t be in this fight. Brown has an aggressive striking style that makes him entertaining to watch. There hasn’t been a boring Brown fight in recent memory. The veteran has power in his hands, which makes him dangerous for any opponent. Just ask Erick Silva. Brown knocked out Silva in the third round in a devastating comeback. In order to answer the question, I’ll rate both of men’s chances against the current champion. I’d give Brown around a 25 percent chance to dethrone Lawler. Brown had a chance to finish Lawler in the second round after he rocked him, but outside of that round, he never came close to finishing Lawler. If Brown is to beat Lawler next time, it will have to be by a finish, as I don’t see him winning a decision against Lawler. It wasn’t until the fifth round, with Brown already down on the scorecards, that we saw what he can truly do against Lawler. The pressure he displayed in the fifth round needs be consistent over the other four if he is to win the title. Hendricks, meanwhile, definitely has the better chance. He has already defeated Lawler once and, depending on who you ask, he might have two wins over the champ. Their first fight was great, and Hendricks claimed the vacant belt. The second fight was brutal. Hendricks tried to play it safe with takedowns and a wall-and-stall game plan, but he didn’t offer anything against Lawler that says a third fight will go his way. Hendricks has the better chance to beat Lawler based on previous results, sure, but Lawler should be able to strategize even better for this next fight. Personally, I don’t want to disrespect Lawler and discuss the chances of Hendricks and Brown against Rory MacDonald. As far as I’m concerned, we’re talking these guys against the current champion. But please, no Hendricks vs. Lawler III just yet. That isn’t a fight I’m ready to see. Carey: This is kind of a weird question. I think Hendricks is going to win this fight on Saturday, but if Brown could pull off the upset, I think he has a better chance at taking home gold in the next one. I’ll say this about Saturday’s fight: Brown once boasted that he was confident he could stop Georges St-Pierre’s takedowns and beat the former champion. We haven’t really seen Brown’s takedown defense tested since that time. If he’s as good as he claims, though, then he should probably win this fight. It’s tough to beat Brown in a brawl, so Hendricks will likely try to mix in some takedowns and keep the slugger guessing with his attack. I like that strategy against Brown and I see it working this weekend, so that’s enough for me to pick Hendricks. However, I don’t like Hendricks’s chances to pull off a win in a trilogy fight against Lawler. “Bigg Rigg” won a slugfest the first time the two went toe-to-toe, but beating Lawler at his own game for a second time is going to be difficult. Hendricks probably came out with the right game plan in the second fight, but “Ruthless” did well enough to win the fight and would probably do better with another camp to prepare. And if — and it’s a big if — MacDonald can take home gold this summer, the Canadian’s ability to keep guys at bay on the feet could end up producing a nightmare scenario for Hendricks. If Brown can brawl his way to victory on Saturday, I think he can give Lawler a better run for his money than he did in their first fight. Brown was unusually tentative at points during the match-up, and I believe the normally aggressive version of “Immortal” can give Lawler a much better fight than he’s shown. In the hypothetical MacDonald-is-champ situation, Brown has a good shot as well. The only guys to have beaten MacDonald have done it by pushing forward and going right after the Canadian, and that’s right up Brown’s alley. Alistair Overeem returns for yet another fight in the UFC. This time he goes up against Roy Nelson on the main card. Both fighters are 2-3 in their last five fights. Is this a win-or-go-home match for both fighters? Can the UFC justify keeping either fighter around with a loss in this fight? Carey: Both of these fighters have their fair share of haters, but I don’t see either man getting a pink slip with a loss this weekend. The heavyweight division is one of the weakest the UFC has to offer, and Nelson and Overeem have enough fans to make losing them at this point a major mistake for the promotion. If I had to pick one, I’d say Nelson is at greater risk due to his on-again/off-again relationship with the UFC brass over the years and the fact that a loss would mark his second straight defeat. However, I’d be a little surprised if “Big Country” didn’t get another opportunity. That being said, this is an incredibly important fight for both men with their careers likely winding down. Overeem is only 34 years old, but he has a lot of mileage and his chin, which was never great to begin with, has started to crumble. All three of Overeem’s UFC losses have come by brutal knockout, and another rough knockout loss isn’t going to help his health or his status in the division. 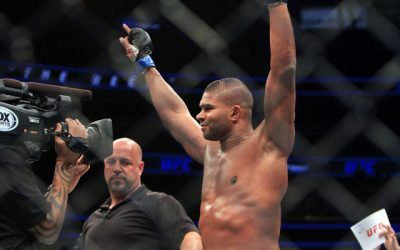 “The Reem” got things on track with a win over Stefan Struve in his last bout, but that momentum is going to have to continue if Overeem wants to make one last push for a title shot. 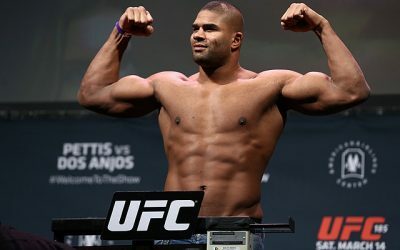 Nelson is in a slightly worse position than Overeem, not only because he dropped his last fight, but because he’s always had to work a bit harder than “The Reem” to get big opportunities. At 37 years old and having just come off his first knockout loss (I know it was to Mark Hunt, but still…), Nelson’s time in the top 10 is dwindling as well. Nelson would have a tough time recovering from a bad loss. Making things worse is that when Nelson loses, he usually loses badly and ends up looking completely outclassed by his opponent. That’s happened in three of his last four fights, and another lopsided defeat to Overeem would likely kick him out of the top 10 and maybe even earn him that pink slip. DeRose: I’m actually thinking along the the exact opposite lines as my colleague. The heavyweight division is extremely thin. In fact, it is probably the shallowest division the UFC has outside of maybe the women’s bantamweight division. Both of these guys are extremely expensive for the UFC to keep around if the promotion is paying for losing performances. Nelson probably has the longer leash here as a name to build off. You can say the same thing about Overeem, but his contract is an extremely big amount of money to sink into a stepping stone for up-and-coming fighters. His disclosed pay for UFC on Fox 13 was $150,000 — that includes his $50,000 win bonus. That is more than fellow heavyweights Stipe Miocic, Matt Mitrione and Gabriel Gonzaga made combined on that very same card. In fact, it takes adding in Nate Diaz’s $16,000 salary for the same card to break even with Overeem’s contract. Overeem isn’t nearly the fighter any of us thought he would be when he made the transition from Strikeforce. If you would have told me he would be a quickly sinking fighter a few years later, I would probably have called you crazy. But, alas, here I am with a good case of foot-in-mouth-itis. My colleague is correct in suggesting that this is an extremely important fight for both fighters. They need to get back on a winning streak. Nelson is the betting underdog in this fight, but I don’t really feel that should be the case. Nelson has incredible knockout power. If he can land the overhand right he likes to wing so much, Overeem’s chin is not going to be able to absorb it. The only thing that could possibly keep Overeem or Nelson in the UFC is the fear that Bellator would come in and pick them up to bolster its own very weak heavyweight division. Maybe that’s enough to keep the UFC from dropping the loser, but, in terms of contracts, Overeem is on a very short leash. DeRose: The UFC is bringing a really good card to Dallas. It’s actually really impressive how well intact this card has remained. Sure, it had its bumps and bruises, but this is still one of the deeper cards so far this year. 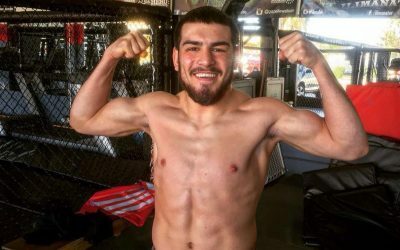 Anthony Pettis’s little brother, Sergio, fights on the preliminary card. It is the top fight on the UFC Fight Pass portion of the card, and it’s my pick for the sleeper match-up. If you like Anthony Pettis, you will like his brother Sergio. The younger Pettis, at only 21 years old, is still a little green in all areas, obviously, but he is still somebody to watch in the UFC based on his name alone. That’s not to mention he is fighting Ryan Benoit, another talented fighter looking to rebound from a loss in his UFC debut. Benoit, 25, is another young prospect. 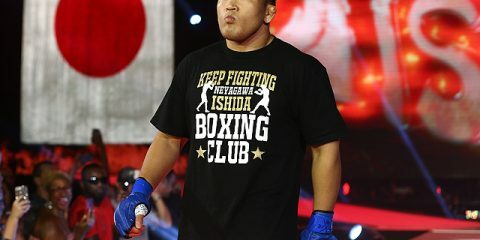 He has six wins by knockout and another by submission. Benoit is willing to go for the finish and entertain, so this should be a great fight that plays into both of their styles. Carey: I’m excited about the prelim main event between Sam Stout and Ross Pearson. Both guys have been around long enough that fight fans know exactly what to expect. The only reason the fight is being somewhat slept on is because the main card is stacked. At best, one of these two lands a big shot and scores the knockout. At worst, we’re getting 15 minutes of solid stand-up action. Either way, I’m in. I’ve also got to mention the UFC debut of Joseph Duffy this weekend. 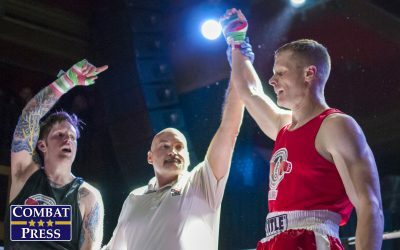 He’s the last man to defeat Conor McGregor (I bet you hear that a few times this weekend), and he’s yet another prospect coming out of Ireland that fans should keep an eye on going forward. Carey: This is the start of a stretch of five UFC pay-per-views where I honestly don’t think you’ll have to pair the cards with anything. I’d watch this card in a bar with 100 people just as quickly as I’d watch it alone at home, because, when it comes down to it, a good night of fights is a good night of fights. Obviously, everything is more fun when you throw in a few friends. If you can get a group of people together, that’s definitely the way to go. But, more importantly, pair this card with yourself and make sure you watch it, because it’s just the start of an incredible few months for the UFC. DeRose: Honestly, nothing. This card is something that needs your full attention. This is one of the deeper cards so far this year for the UFC, and it starts a string of cards with a headlining and co-headlining title fight. This is just a great night of fights from top to bottom. If you have to pair it with something, though, how about some soccer matches? Major League Soccer has its second week of matches on the same day. If you’re not an American soccer fan, whatever league you watch probably has some matches on a Saturday. Whether it be England, Spain, France, Germany or, like me, Italy, you can’t pass up some good soccer. So why not make it a full sports weekend? That isn’t even to mention the possible NBA and NHL games that will most likely be on during the same day.